There is always plenty of competition when it comes to the small crossover segment. Actually, it might be one of the most competitive segments in the entire industry. Even with all of that pressure, if you’re looking for a used small crossover, then it’s a no-brainer to check out a Jeep Cherokee. You can’t go wrong with a vehicle that offers legendary off-roading capability, a large amount of cargo space, and a comfortable interior. Even the engine gives you some extra pep! For those reasons, we cannot recommend a used Cherokee enough, especially when it is compared to other vehicles in its segment that offer less, and don’t give you nearly the abilities that the Cherokee comes with. If it’s a Jeep, it’s worth giving a chance. More information on this used Jeep Cherokee can be found below! What trim levels come with a used Cherokee? Many used Jeep Cherokees come with four different trim levels. These potential trim levels are Sport, Latitude, Trailhawk, and Limited. The features that you might find with the Sport trim include a USB charge-only port, a tilt-and-telescoping steering wheel, a six-speaker audio system, remote keyless entry, cruise control, an auxiliary audio input, 60/40-split folding rear seat seat backs that also slide and recline, a 5-inch touchscreen interface, 17-inch steel wheels, and height-adjustable front seats. The Latitude trim that you might find, comes with a leather-wrapped steering wheel with audio controls, a 115-volt outlet, body-colored door handles and mirrors, a rearview camera, a folding front passenger seat, automatic headlights, roof rails, alloy wheels, and fog lights. The highest potential trim that you could find is the Limited. This trim offers an auto-dimming rearview mirror, 18-inch alloy wheels, keyless entry and ignition, dual-zone automatic climate control, a wiper de-icer, leather upholstery, a power driver seat, SafetyTec Group’s upgraded side mirrors, and remote ignition. These features and trims could change depending on the model year of the used Cherokee that you find! What safety systems come with a used Cherokee? Jeep has always filled their vehicles with amazing safety features. Some safety features that you might find in your used Cherokee include stability and traction control, side curtain airbags, antilock disc brakes, front knee airbags, and front- and rear-seat side airbags. Further features that might be included are a rearview camera, blind- spot and rear cross-traffic alerts, a forward-collision warning and mitigation system, adaptive cruise control, and a lane-departure warning system. 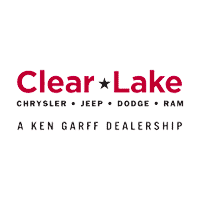 What engine comes standard with a used Cherokee? The standard engine that you’re most likely to find with your used Cherokee is a 2.4-liter four-cylinder! This engine produces up to 171 lb-ft of torque and 184 horsepower. There is also the option of opting for the 3.2-liter V6 engine, which creates 239 lb-ft of torque and 271 horsepower. The V6 engine can be found in every trim, with the exception of the Sport model. No matter which engine, a nine-speed automatic transmission will be paired with it in order to get the most power out of the engine! Of course, it wouldn’t be a Jeep vehicle without the possibility of having four-wheel drive. Most of the trim levels can be found in either front-wheel drive or even four-wheel drive. 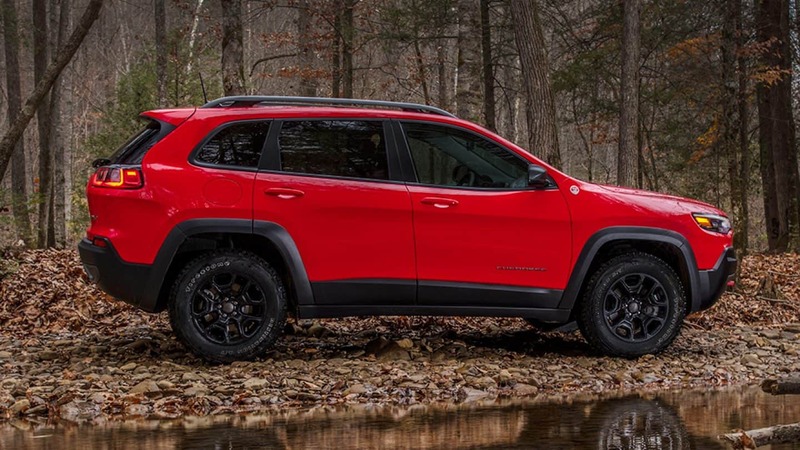 However, if you find a Trailhawk trim, then the four-wheel drive is standard. If you’re interested in an SUV that has towing capabilities, then the V6 engine can tow up to 4,500 pounds! Buying a used Cherokee is your chance to become a part of the Jeep family! These vehicles come with an off-roading prowess that other SUVs in its segment cannot even begin to try and match. You’ll also find plenty of technology and even more storage space. Give us a call today to ask us any further questions, or to schedule a test drive!